SCPD are investigating a three-vehicle crash that seriously injured a woman in Islandia. 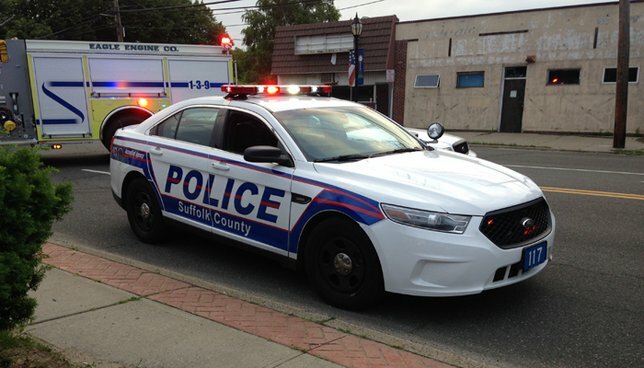 Islandia, NY - August 3, 2018 - Suffolk County Police are investigating a three-vehicle crash that seriously injured a woman in Islandia on Thursday, August 2, 2018. Juan Rodas was driving a 2005 Chrysler Town and Country on westbound Long Island Expressway when he struck the rear of a 2017 Ford Escape being driven by a woman at approximately 5:30 p.m. The Ford Escape struck a 2017 Hyundai Sonata being driven by Laverne Brown. The woman driving a 2017 Ford Escape was transported to Stony Brook University Hospital in serious condition. Her name is being withheld pending notification to her family. A male passenger in her vehicle was not injured. Rodas, 28, of Medford, and his two-year-old son were transported to Stony Brook University Hospital Medical Center with non-life-threatening injuries. Brown, 46, of Bay Shore, and her male passenger were not injured. All three vehicles were impounded for a safety check. Anyone with information on this crash is asked to call Fourth Squad detectives at 631-854-8452. Subject: LongIsland.com - Your Name sent you Article details of "Woman Seriously Injured in Islandia Motor Vehicle Crash, Authorities Report"